Prepare Your Fleet for a Successful Early Spring Start! 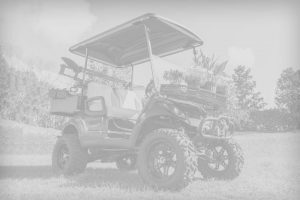 This article was previously published in the Golf Car News, it has been fact checked and updated as needed. The first thing before storing a golf car – or any piece of equipment, for that matter – is to give it a good cleaning. Any mud, dirt, or grime left on the car will only be more difficult to remove later. Also, it’s much easier to properly inspect and work on a clean vehicle. When you’re finished cleaning the outside of the car, pick up the seat and spray the battery so it’s free of corrosion. If water alone can’t do the job, mix some baking soda and water together – about one box of baking soda to a gallon of water. Lightly brush the outside of the battery with the paste. Rinse with water and dry. While you have the seat up, check connecting wires to and from the battery, making sure that cables are tight and in good shape. This is also a good time to cover the battery terminals with a protective coating. I prefer the anti-corrosion felt washers that go over the battery posts. Nivel # 3118 are the correct size for gas golf car batteries.